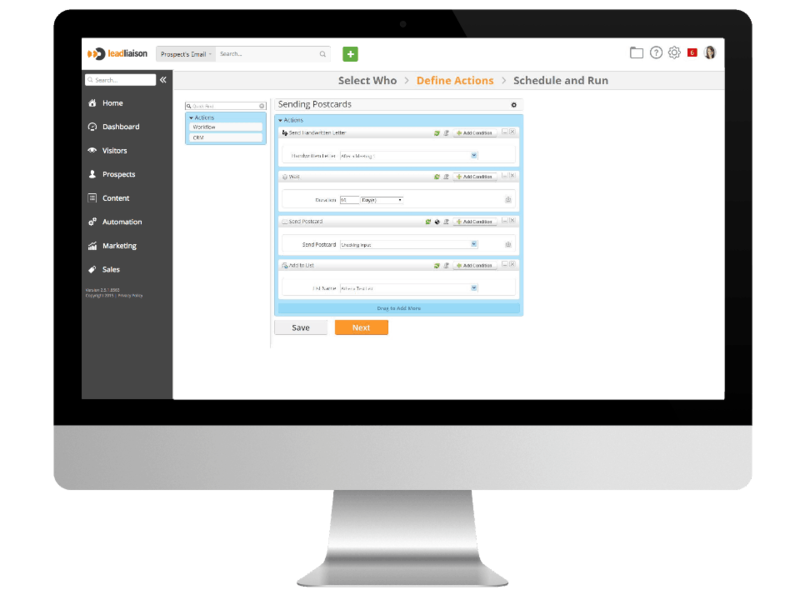 Lead Liaison features a streamlined platform for building and sending postcards that allows marketers to personalize their campaigns, as well as track their return on investments (ROI). Our flexible design allows users to choose between various postcard sizes, add pictures and text, and customize both the front and the back. Drag-and-drop technology allows users to easily design a postcard in minutes, not hours. Our dynamic data insertion gives users the ability to insert standard or custom fields as dynamic text inside of their postcards. Marketing gets personal. Our flexible delivery options minimizes costs. You no longer need to hit a minimum number of recipients. 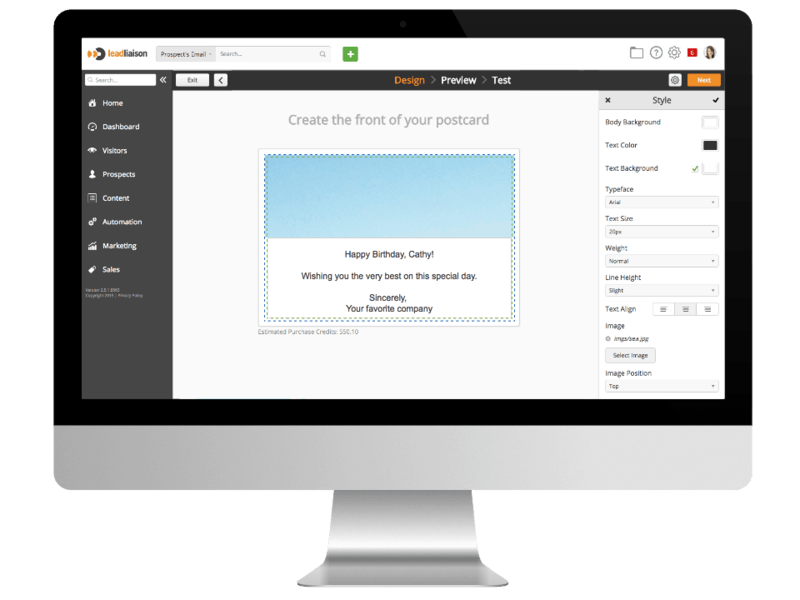 Send a one-off postcard wishing your client a “Happy Birthday!”, send multiple postcards to a list of people, or include as an action in automated drip marketing. It’s up to you!